Boston Borough Council has given the green light to a new £280,000 bar and restaurant development on the site of a former social club. A report by planning officers states that nine objections had been received to the plan, but a petition containing 28 signatures had been submitted suporting it. The report said concerns includedexcessive noise, drunken and anti-social behaviour, concern about rubbish being thrown into gardens, and already severe traffic problems nearby. 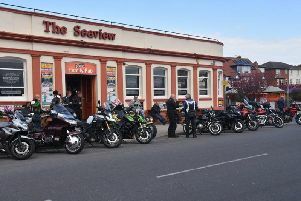 But planning officer John Taylor states in his report that given the previous use of the site as a social club, it is considered that the change of use to a restaurant/bar appears acceptable, subject to conditions that will strictly limit the use to that which is proposed. Plans submitted by Fancy Lounge Ltd will see the former Railway Social Club, Sleaford Road, converted in a move that will create 23 jobs. The man behind the scheme is Suayp Dogan, who is the owner of Korzinka supermarkets and a partner at Pirana Night Club. The building has been closed for more than four years and has since been taken over by the developer. Now, Fancy Lounge owners have said they want to bring the former club back to life. The plan will see the bar and restaurant offer food and drink Monday to Sunday from 10am until midnight. The refurbishment of the building will include a new beer garden which will be built as part of an extension. “The interior designs will blow people’s minds; this venue will be like no other in the county,” the developer said in a statement supporting the proposal.